Sail Area, main & jib 191 sq. ft.
Sail Area, spinnaker 200 sq. ft. 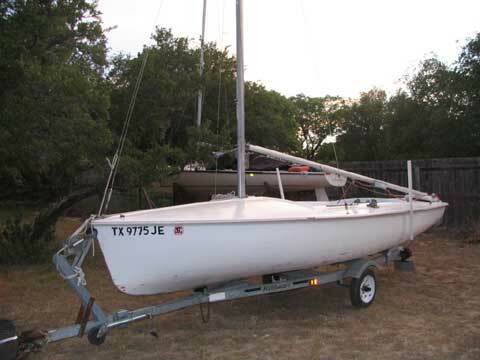 The Flying Scot was designed in 1957 by Gordon K. �Sandy� Douglass as a 19 foot family day sailer/racer. 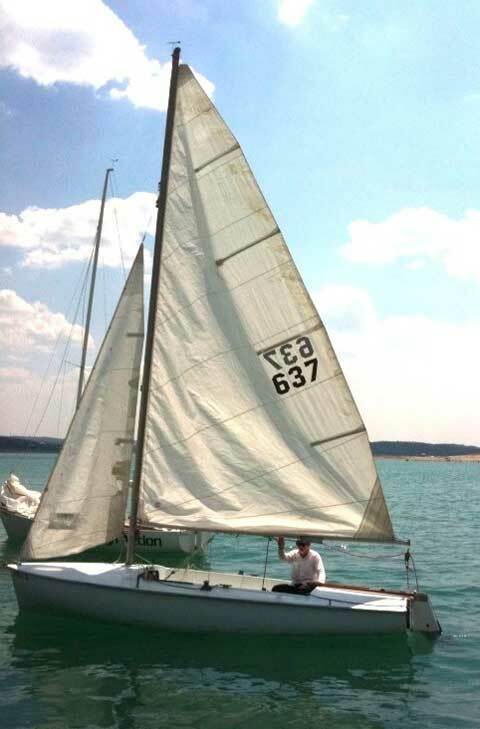 It is very stable, can be sailed by one, raced by two or three but has room for more with plenty of stowage space. 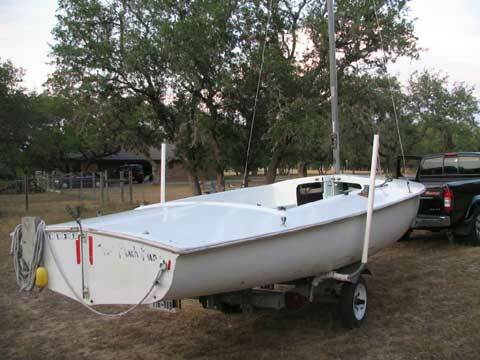 The rig is simple so that you can concentrate on sailing instead of fine tuning the rig. 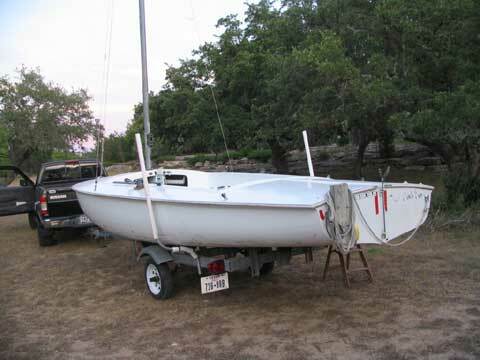 In addition to pictures here, go to the lessons page of this website to see pictures of this boat with trophies won by David in this boat before I bought it from him. 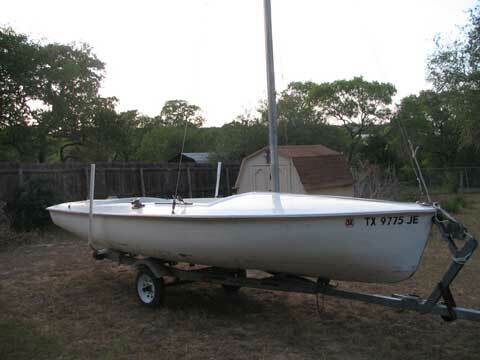 Also see the Medina Lake page which has a video of me and David and Alison sailing on Medina Lake in this boat. After I took the pictures I replaced the trailer's lights with LED lights. Wheel bearings packed 800 miles ago. Thanks for placing my add for the Scot and for all you do. I had a commitment Wednesday and collected the money and signed it over this morning. it went quickly and i had other callers who sounded very interested, so maybe i asked too little or maybe the economy is making older, less expensive boats more attractive. Or maybe that's just the way it goes.